← Thank goodness I never made this! 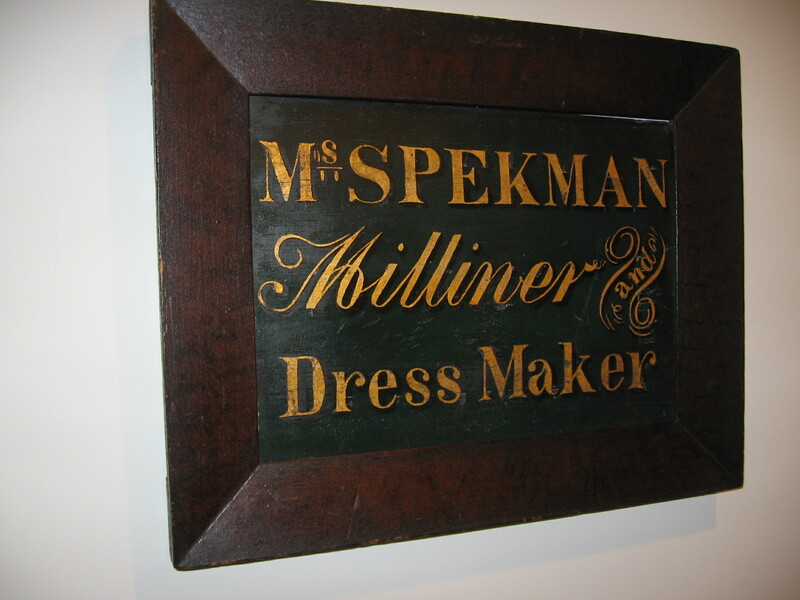 The term “dressmaker” conjures up intriguing, dreamy thoughts for me – and maybe for you, too. I’ve always liked the connotation of it – obviously a female craftsperson, skilled with a needle and working with patterns, creating clothing for women and children. It is a term which spans decades, even centuries, in its relevancy (in the 18th century the term “mantua maker” was interchangeable with “dressmaker” and often the preferred term.) 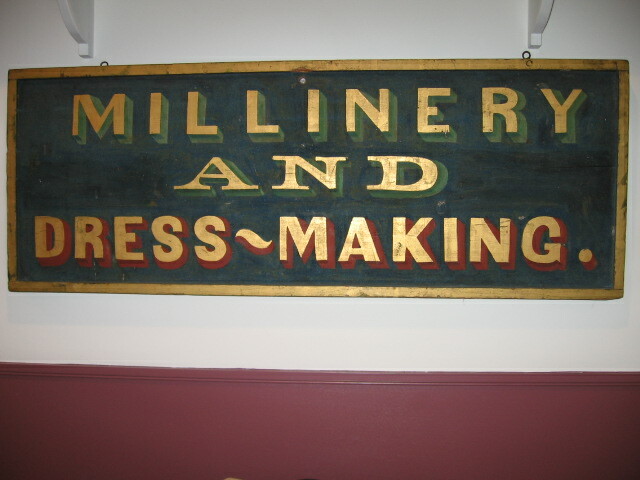 I have two 19th-century trade signs hanging in my sewing room, both for Dressmaking & Millinery, and simply their presence gives me inspiration. Well, think again. 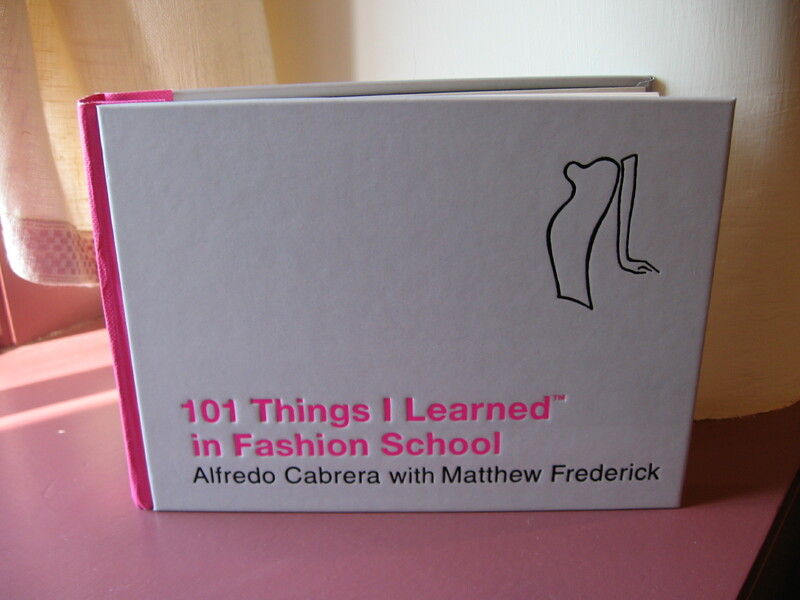 There is a wonderful entry on “The dressmaker” in a small book entitled 101 Things I Learned in Fashion School (available at Barnes and Noble, where I found my copy). The list of possible dressmaker details is a long one, and includes such additional things as choice of fabric, buttonhole treatment, combining two or more patterns (for example, a blouse from one pattern and skirt from another), topstitching, linings, etc. Hopefully, you can deduce that the possibilities are almost endless, infinitely creative, and require an excellent understanding of fashion design and purpose to be successful. Here is an example of my own added Dressmaker Detail. I made this evening muff as part of my merchandise for a recent fine crafts boutique/fair. 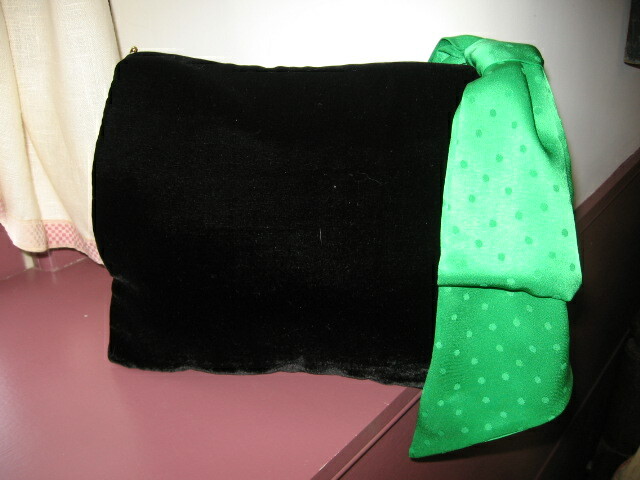 I made it up in black silk velvet, with a kelly green silk lining. Made according to the pattern (circa 1959) it was pretty, but not as elegant or eye-catching as I had hoped. 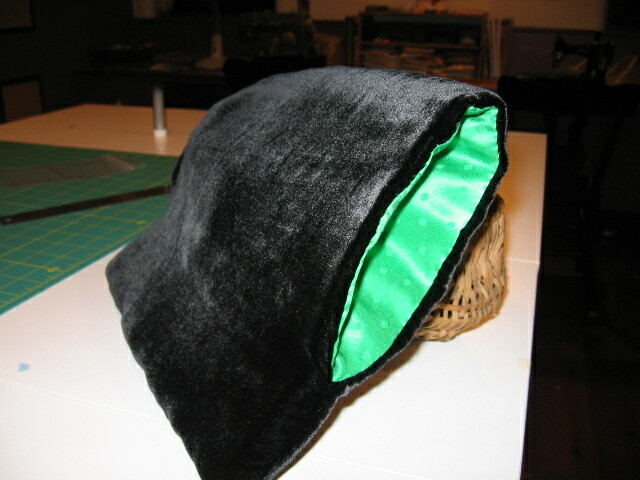 This velvet muff with silk lining was not quite as special as I had hoped. So – I added this constructed bow, which I made out of the green silk – a dressmaker detail which (I think) turns it from nice to “wow”. The added silk bow makes a big difference! Absolutely what makes sewing so enjoyable. I am in awe of your talent. My mother-in-law had the same ability to take a Vogue pattern and make the most wonderful dresses and coats. What a gift and you have that vision and skill to make it happen for you. I’m so impressed! Oh, thank you, Stephanie! I am really fortunate to come from a long line of “sew-ers” in my family which gave me an early start with needle and thread. Not everything I make is successful either…! I love retro styles as well – especially the 1950’s! I, like you, consider myself more of a dressmaker/seamstress (aka “stitcher” according to some of my paychecks) than a designer. There is something about the the actual build and problem solving involved in the construction that are far more exciting than designing! It is always nice to find others who feel the same way. =) Keep up the good work! Thank you, Brooke for your encouraging words! I appreciate the referral to Vintage Martini and will be sure to check it our from time to time. It’s been great to find your blog and see your amazing creations.